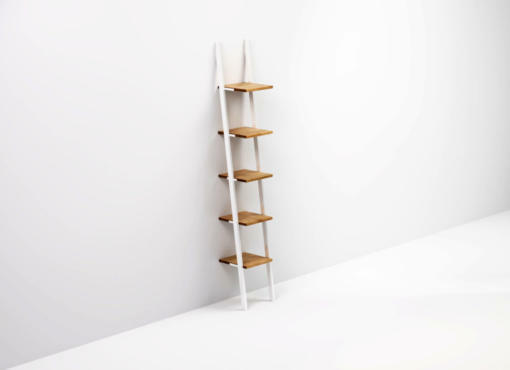 Shelf – 2 cm thick, specially selected, structured solid oak wood. It has various shades, dark knots and bright lines running along and across the surface. Each product is made to order and therefore, depending on the batch of wood, it also has its own unique features, colour and wood grain. Brackets – complete mounting with plastic grilles white. Capacity up to 25 kg. Complete lack of plugs – their type, diameter and length should be selected according to the type of wall. Shelves are one of the most needed items in our homes. 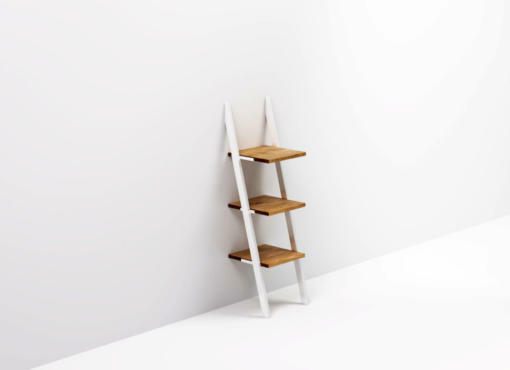 Wooden shelf BELL is made of solid oak wood supported by steel brackets covered with white plastic covers. Their simple design is both eye-catching and minimalist. 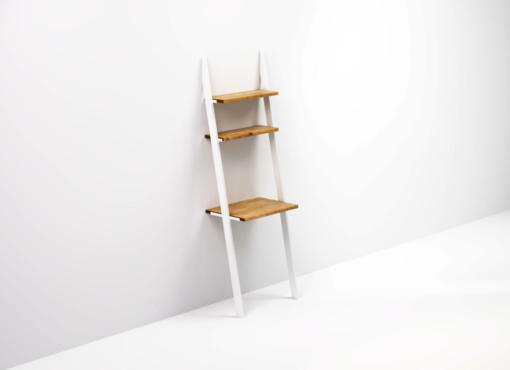 At the same time, the white colour subtly highlights the beautiful colour of natural oak. Simple, modern style. For use in any home interior or office. Works great both in the living room, bedroom, kitchen or home office. 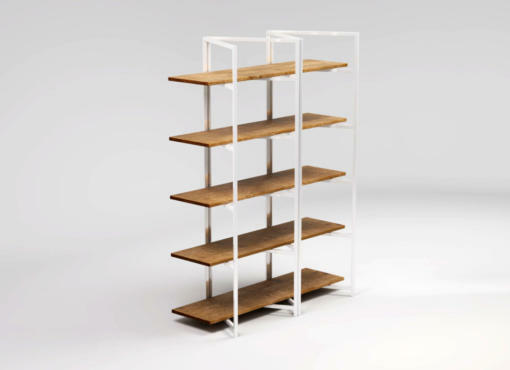 Shelves are made in two sizes as standard, which gives the possibility to create different arrangements. 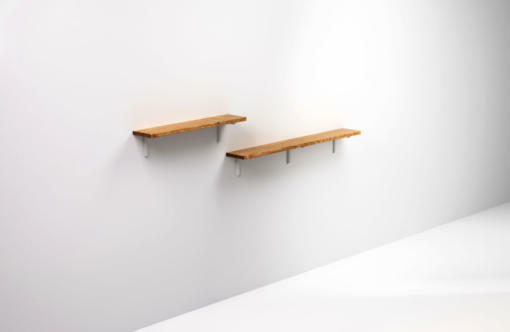 The number of brackets depends on the shelves length. We also make custom shelves in different sizes.